Which Smartphone Card Reader Should Your UK Business use in 2019? A smartphone card reader could be the perfect payment processing solution for your small business if you’re setting up a retailing operation. According to the UK Card Association, the year-over-year growth rate of credit or debit cards spending was 6.8% in April 2017. The use of contactless card payments has grown from 16% to 30% of all transactions. This is why you should adopt the most modern and affordable technology for your business as soon as possible. What is Unique About Each Card Machine? iZettle’s Go Plus service costs £20/month. This is the same services as the £0/month account including staff-level sales reports, extended support hours and a lifetime warranty on the card reader hardware. Go Plus has a 30-day free trial. Pay Anywhere’s 3-in-1 Reader costs USD £39.95. This option accepts chip and contactless cards whereas their free service only accepts swiping. This is notable as the use of contactless card payment is skyrocketing. Their ‘Storefront’ reader is built into a tablet and has a £12.95 monthly service fee. This option has a lower 1.69% transaction fee whereas their other two readers have a 2.69% fee. Besides premium services, PayPal offers the most flexible transaction fees of the five. Their fees depend on the volume of sales your business experiences. They can charge as high as 2.75% if your sales are below £1 500 per month. They can also be as low as 1.5% of you sell between £15-55 000 per month. If you sell more using their reader, you can even negotiate for lower fees. This makes PayPal the best choice in terms of pricing if your business has high sales revenue. It accepts chip & pin and contactless. It also comes with the most comprehensive app for merchants. The app does much more than payment processing. 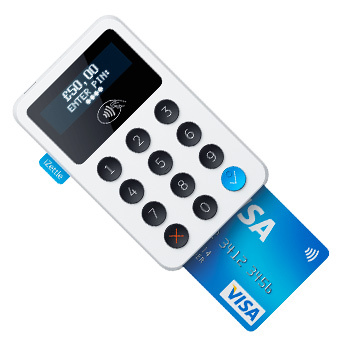 It works as a payment terminal, cash register/POS (Point of sale) and has an extensive inventory system. 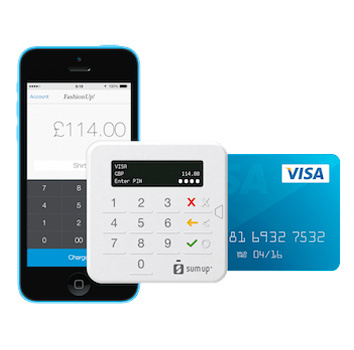 Recently offering a complete POS solution on its app for businesses requiring only one card reader. Combined with its low, flat fee rate of 1.69%, it makes it the most affordable option for self-employed, small scale traders. 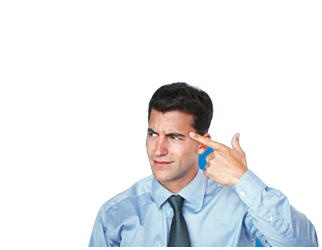 Certain types of businesses aren’t supported, such as adult entertainment, door-to-door sales, multi-level marketing, unlicensed counselling, etc. 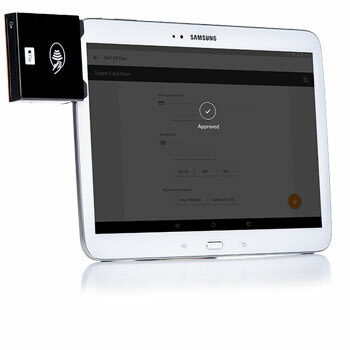 The free built-in tablet reader accepts chip cards and swipe. This option has a $12.95 monthly fee, but had a lower rate 1.69% transaction fee. The tablet option is a good choice for higher sales volume businesses. Their app allows multiple staff accounts unlike some competitors. It also offers detailed sales data and item libraries. Accepts chip & pin, contactless and swipe cards. 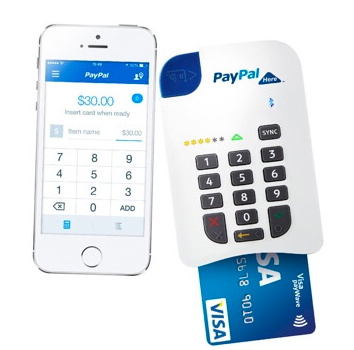 Can also be used with standard cash registers, despite paying directly to your PayPal account. PayPal Here integration with existing PayPal business accounts is an advantage if you already receive most of your revenue there. You can continue using their sales tracking services when you receive in person payments with the card reader and app. PayPal had a poor reputation in recent years for account limitations and customer service that’s difficult to access. Many users report difficulty accessing their account and having to wait weeks to unfreeze their accounts. Fortunately, these issues have been fixed for the most part, and using the reader isn’t causing these problems. Leading POS app with multiple staff accounts/employee permissions, sales analytics, tipping option, inventory, item library, etc. The app’s inventory management system even synchronizes with your online store. You can also send invoices and set up automatic payments for recurring jobs. SumUp is an alternative to iZettle for businesses who are similarly small, but don’t have any employees. Their fees are currently lower. PayPal Here’s main selling point is their integration with their business accounts. 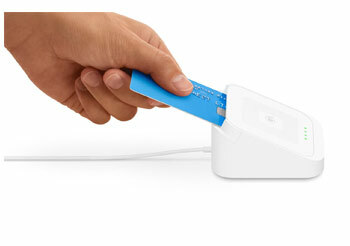 If you’re already receiving payments through PayPal, you should use their card reader. Square offers the most complete suite of software services among the competitors. Sign up for Square if you have complex needs for a small business, in terms of POS, sales analytics, inventory management, staff management, etc.